It's mostly security stuff required for the tunnel, rather than border controls (though they check your passport anyway, given all the faff). Unlike ferries, you enter the destination country before leaving, making it a one-stop shop. 2)technically Waterloo International was a separate station to Waterloo NR, with the entrance at Waterloo International on the concourse of Waterloo (it had it's own concourse). Some of us don't like the idea of flying (especially these days with the security theater that's more intrusive than crossing an international border). Even before 9/11, I've heard too many horror stories of lost luggage and annoying passengers. An undersea by rail line from North America to any other continent would involve the same TSA screening and border controls that you don't like (and most people don't care fore). Consider another train under the sea that is currently in operation - the Channel Tunnel between Folkestone, England and Calais, France. In order to use the train either way, you have to pass border controls and show a passport. Doesn't matter if you are taking the train by boarding at a regular train station (Waterloo in London) or taking your motor vehicle on the "Le Shuttle" train. The UK is *not* within the Schengen 'borderless' zone of continental Europe and, sine that is an 'external' Schengen border, one must clear customs and immigration inspection to cross it. It's still a border control. There's a similar situation at some airports in Canada for U.S.-bound flights - you pass through U.S. passport control and customs on the ground before boarding the flight to the U.S. Among other things, this means that the destinations can include domestic-only airports south of the border that do not have facilities for processing passengers arriving from places outside the U.S. I have not been in London for quite a few years - the last time I was there, Waterloo (International) was the London terminal station for the Eurostar service. Yes, though the French don't typically give a merde about either (unless you have raw meat - though they cannot legally block the import of that). It's more that Schengen isn't part of the British and Irish borderless area, but unless your passport is not EU/US/Commonwealth/other visa free areas then they don't really look. Only as it's at a border... As a foot passenger, it's identical, if not more lax, than a flight inside the British and Irish travel area, or inside Schengen or the US. The only difference is that they can and will take your bundles of sticks and booze if they reckon you have too much for 'personal use' and not declared it to pay UK tax on it (which can't be right under EU law on free-movement of goods). While I don't like border controls, they're a given for now, but you shouldn't have to feel like you're guilty until proven innocent to fly (and last I checked, the TSA doesn't care if you have a domestic or foreign flight). I will not fly as long as the TSA has stuff like naked body scanners, pointless liquids restrictions, taking off of shoes, sexually assaulting people (all the while calling it an "enhanced pat-down"), etc. Man, I remember buying a Greyhound ticket back in about 2003; they asked me for my name, and I didn't even have to show ID to verify it. Of course, it would be a different story to cross a border by bus. Security is only one thing I don't care for at the airport, and I don't find it any more unpleasant than the others. Crowds, lines, hurrying up to wait, expensive food, cramped quarters onboard... Other forms of transportation have their downsides too, though, of course. I remember crossing in a coach bus for a school trip in March 2009. Going into Canada, all the immigration officer did was was ask the usual alcohol/drugs questions. They didn't even bother processing us or anything. In fact, I'm wondering if that's what got me referred to immigration when I crossed in May... the officer asked me when the last time I was in Canada, I said three years ago since the last time was this trip, and there's probably no record of me entering Canada for it in the CBSA database! They probably had to call US customs for record of the return to the US. I've used the Channel Tunnel car shuttle on a number of occasions. When heading to France all you have to do is show a passport in your hand as you drive past. In fact any document that resembles a passport will get you through. There are random spot checks and I've seen old camper vans being pulled over and customs officials looking inside for anything dodgy. All vehicles drive over a scanner before getting on the train which I suspect detects if there are any stowaways clinging on underneath. When returning to the UK the passport checks are more intense. They actually look at it and put it under the ultraviolet. Other than that the regime is similar to the outward journey. The relatively poor Russians can build not one but two major bridges for their biggest city on the Pacific. I think it might be only some practice and training for some bigger bridge (or tunnel) projects like a Bering Strait crossing. The APEC (Asian-Pacific Economic Cooperation) week is underway in the city of Vladivostok on Russia’s Far East. One of the issues on the agenda of the business and political summits is the development of transportation and logistics. Experts say that Russia may become the key player in this field proposing ambitious projects which are attractive for investments. The Asian-Pacific region is the most rapidly developing region in the world. In the next few years experts predict a significant growth of the regional countries’ cargo turnover. The region sees the development of new promising deposits and the growth of exports. All this requires expanding the logistic infrastructure, its upgrade as well as building new transportation routes. Currently, the regional countries are jointly implementing several ambitious projects as part of the Association of Southeast Asian Nations (ASEAN). China is the most active player developing its speed railways service. But there is one very important task here - connecting the Asian-Pacific region with Europe. There are several options for doing this, Evgeny Kanayev, an expert at the Center of the Asian Pacific region says. QUESTION: Has the State Department been contacted by Russian authorities regarding a proposed construction project to build a tunnel under the Bering Strait to the United States? ANSWER: While we are not aware of any plans to construct a tunnel under the Bering Strait, the United States and Russia enjoy close cooperation across the Strait in areas such as environmental protection, historical preservation, and recognition of the unique heritage of indigenous peoples in the region. The State Department has issued a September 8 Press Release "On Cooperation in the Bering Strait Region" regarding an agreement between Secretary of State Clinton and her Russian counterpart to pursue a Transboundary Area of Beringian specially protected natural territory. No mention is made of a possible Bering Strait Tunnel, but the agreement is noteworthy because the southern edge of the territory on the Alaskan side, the Bering Land Bridge National Preserve and Cape Krusenstern National Monument in Alaska, might possibly affect a potential rail route from Wales, Alaska eastward and possibly strengthen likely environmental objections to a polimagistral rail tunnel project. The APEC (Asian-Pacific Economic Cooperation) week is underway in the city of Vladivostok on Russias Far East. One of the issues on the agenda of the business and political summits is the development of transportation and logistics .... the construction of the tunnel under the Bering Strait. Technically it is quite feasible and economically it is very profitable. It will help to switch some countries and territories, which are far away from the Pacific seaports, to transcontinental shipments. I think that creation of US Russia joint Beringia Park and perspectives to build the interhemispheric railroad and a tunnel under the Bering Strait are not connected with each other. At least at present time. During the APEC meeting China showed a large interest in building the railroad to America and an undersea Bering Tunnel. Russia and China both seem to be expressing interest in the project. I wonder if there are any segments in the U.S./Canada private sector that believe it would make economic sense as an investment? I'm confused - isn't this primarily a freight project? Why was it moved to mass transit? Likely because it involves land transport, but not directly involving the history, progress and/or future plans and musings of road infrastructure. Perhaps 'Transit and Non-Road Transport Infrastructure' might be a better name for this sub-forvm. It was late, I was tired, I saw "rail." ... All the latest plans of developers to bring a railroad through to Alaska are therefore based on the idea of incorporating it into a global intercontinental railway project with Russia—together with the construction of a tunnel under the Bering Strait. This would make project construction more profitable for private investors. But even this faces its own difficulties, like the inability of past Russian and U.S. leaders to sign a joint treaty. Finding investors who will pay up to $100 billion for the laying of 2,400 miles of rail through undeveloped regions of Siberia to the Chukotka Peninsula in Russia, plus 3,000 more miles in the U.S. and Canada, and digging a tunnel under the Bering Strait, is also a challenge. “The two-track, Canadian-Alaska railroad will be built by the year 2018, if we get the required $4.5 million and start working now,” says Ward Kemerer, G7G Director. 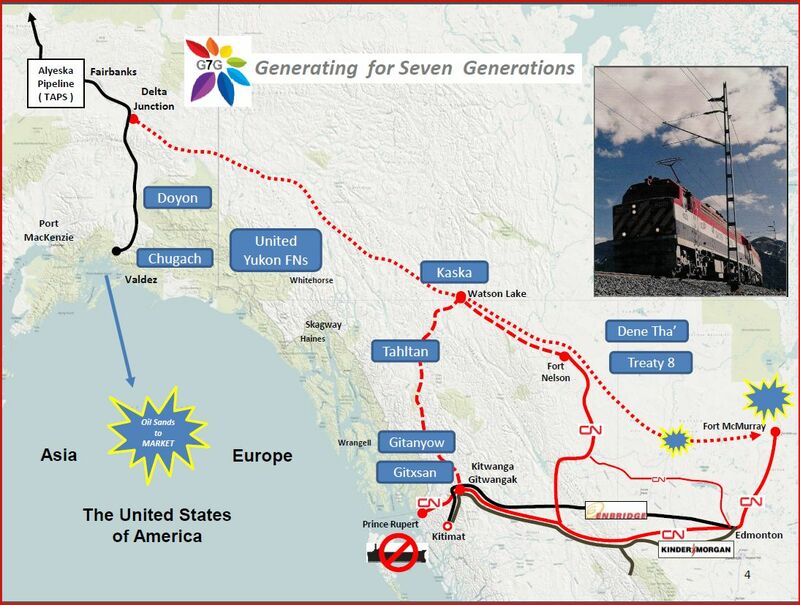 The construction of a Canada-Alaska railroad would have an additional impact on the proposed America-Russia railroad. If this connection happens soon, then the part on the American continent of international track (a 1,300-mile bit between Fairbanks and the Bering Strait) can be completed by 2024—six or more years earlier than the Russian railroad to the coast of the Bering Strait from Yakutsk. That might give the U.S. an opportunity to dig the entire 64-mile Bering Strait tunnel using its own financing and labor force. This could potentially give more control over key aspects such as tunnel maintenance, security, customs and operation schedules—including land on the Russian side to house workers, etc. I'm not sure how productive it would be to build a tunnel to Russia without Russian cooperation. I'm guessing that the purpose behind the press release is to raise enthusiasm for a feasibility study for the rail ink. very productive. ask any 6 year old. though most are building tunnels to China, the idea is pretty similar. And there's still the matter of the Russian railroad system (and some nations formerly part of the Russian or Soviet empires, including Estonia, Mongolia and others, using Russian imperial gauge (1520 mm, or 59.8 inches)), while the U.S. and Canada use standard (Stephenson) gauge (1435 mm, or 56.5 inches). I thought that the trucks (bogies outside North America) on each railroad car transiting Russia were still being swapped-out manually near the border between China and Russia; and again between Russian-gauge territory and European standard-gauge territory in Eastern Europe? Are you aware of any place where the break-of-gauge is being handled by an automated method? At the beginning of this YouTube video is a short clip showing the trucks being swapped-out near the border between Russia and China. Looks like a pretty labor-intensive process. The change in gauge is a relatively small problem compared to building the enormous rail line and tunnel and keeping it open in the winter. Gauge changes take a little time, but not that much as compared to circling half the Pacific. CN (Canadian National) has already announced that due to the failure to approve the Keystone pipeline, they will be handling substantially increasing volumes of crude oil, likely in unit trains, between the sand-oil fields in northeastern Alberta and refineries in the USA's Gulf Coast region via a routing that is entirely CN (it passes though my home metro area as well as suburban Chicagoland), so it might not be far-fetched to see someone building such a railroad into Alaska. CN is also investing about USA$35M of their own money to rebuild and restore their dormant ex SOO line between Ladysmith, WI and the Rice Lake, WI area to serve several 'frac' sand mines and processing plants in the Rice Lake area, as well as several million dollars more to replace their 113 year old ex-CNW mainline swing bridge in Oshkosh, WI, which is on the routing that this traffic will use. Heady days for freight rail in North America! As I mentioned upthread, since China uses the exact same railroad technical standards as are used in North America (track gauge, coupling, loading gauges, etc) such that equipment in one can directly run in the other, it could well be possible that the line leading up to such a tunnel on the Asian side would be built to those standards and that the break in standards would be wherever the Russian Railways lines meet it. Given what I know about Russia, I very seriously doubt that its leadership would ever permit a standard-gauge line from China across eastern Siberia to a Bering Sea crossing. This opinion piece in the Global Times is noteworthy because the Global Times is the newspaper of the Chinese Communist Party. China's desire to have the tunnel would go a long way toward making the project happen. Major joint projects involving the development of Siberia and a tunnel under the Bering Strait could be undertaken given today's technology. Serious and substantial cooperation on international issues of mutual concern must be undertaken. Washington's so-called reset policy with Russia was a failure in Barack Obama's first term. Will the US take effective steps in Obama's second term to improve relations with Russia, or will the Cold War mentality prevail? New Secretary of State John Kerry, who has had almost three decades of experience on the influential US Senate Foreign Relations Committee, can break new ground with Russia should the White House decide to make a sincere effort for a reset. Should obstacles be overcome, however, there are many well known areas for US-Russian cooperation which include counterterrorism, counternarcotics, scientific research, and medical research. 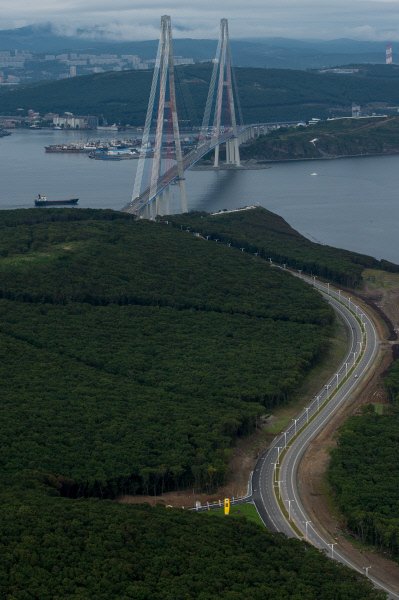 The development of Siberia and large infrastructure projects such as a Bering Strait tunnel are major areas for long range economic cooperation. The recent meteor event certainly provides a basis for cooperation in space research and defense with respect to bodies such as asteroids. Development strategies for Siberia and the Far East focus on initiatives such as rebuilding cities in the Arctic, building a bridge to Sakhalin, or digging a tunnel beneath the Bering Strait. In short, it may be that China and Moscow both have some degree of interest in a tunnel, but that Siberia is wary of the motives of both. Prime Minister Dmitry Medvedev signed the decree to create the new national park called Beringia, Russia's World Wildlife Fund said. The park will eventually be part of the first US-Russian nature reserve spanning the Bering Strait area, it said .... Russia's Beringia national park will directly touch the US border, although it does not include some of Russia's marine waters in the strait nor the small Ratmanov island, which is a base for a Russian border control station. Ratmanov Island is also known as Big Diomede Island (hypothetically on the tunnel's route); therefore, the existence of the park probably would not be an impediment to construction of a tunnel.